Internet has become a requirement of all. Now most devices support all time internet connectivity and there are also many solutions such as wireless hotspots and APNs. These devices made it possible to cover a whole town and even city with wireless internet connectivity. There are many people having Broadband Internet Connection or use their smartphones to connect to the internet. Let us imagine that you don't have a wireless modem for your connection but want to use internet on other WiFi supported devices such as Tablets and Smartphones. No worries! You can share your computer's LAN or broadband internet and can turn into a WiFi hotspot which will provide internet facility to other connected devices. 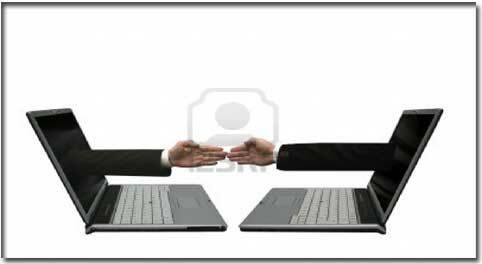 Before proceeding further, first understand the requirements of using WiFi Internet Sharing. Firs obvious requirement is that your computer must be WiFi compatible that is it must have a Wireless Receiver and Transmitter in it and the drivers should be installed properly. In simple language, you should be able to use WiFi on your computer. Most laptop computers have inbuilt WiFi support no matter if is it is notebook, netbook or simple Laptop. In assembled computers, WiFi support is not so common. So first make sure that your PC supports WiFi connectivity. If your computer don't have WiFi support then you will have to buy a Modem which will look like Pendrive and comes in various sizes. It is same as using Bluetooth with external Bluetooth device. Now we shall begin. Here, we are going to describe two methods to Share Internet Connectivity using WiFi. In first method, we will use Windows inbuilt features to set up a Wireless Connection while in second one, we will use a software. Both works well on all types of Windows Computers and on all versions of Windows. First of all, go to Control Panel > Network and Internet > Network and Sharing Center > Set Up a New Connection and Choose Ad-hoc. Now follow on screen instructions. Enter your desired connection name and click next. Choose any security type according to you or select none. Now click on the network icon on bottom right. You will find your connection there. Connect to it. Pick up other WiFi enabled device on which you want to use WiFi. Search for available connections and you will find your connection there. Just connect to it and start browsing. Head to this page and Click on Download Button on the right sidebar. Now wait for the loading to complete and your downloading will start automatically. Install this software and run. When Virtual Router window will open, Choose your internet connection name that you want to share using WiFi. For example: Ethernet or Local Area Network. Click on start Virtual Router. Now enjoy wireless internet on your Mobile Devices.